At the very end of November, Pink Floyd 1965 - Their First Recordings was quietly released to create a storm of shock and surprise amongst the Floyd community. 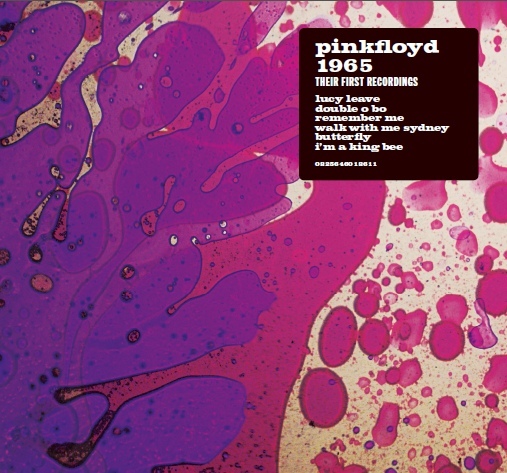 The stealth release of 1050 copies, housed on two 7" singles, in a gatefold sleeve with a Po Powell design, brought the official release for the first time of six songs recorded during that year. It appeared in selected record stores with no fanfare or pre-notice. Rumour has it that record stores weren't even told who the single was by or what it was called, but just told they could order in a handful of copies of a rarity that would become clear on receipt. The recordings were made when the band were still a five-piece, with Rado Klose on guitar, alongside Syd, Nick, Roger, and Richard. One of the tracks, Walk With Me Sydney, also includes Juliette Gale (later, Richard's first wife) on vocals. Andy Jackson did the mastering for vinyl of these tracks, and the sound quality is very good across all six tracks.